Nick gets plenty of big-displacement muscle cars and engines in his shop, but he gets lots of other kinds of cars rolling in too. And, they all come with their own set of problems. 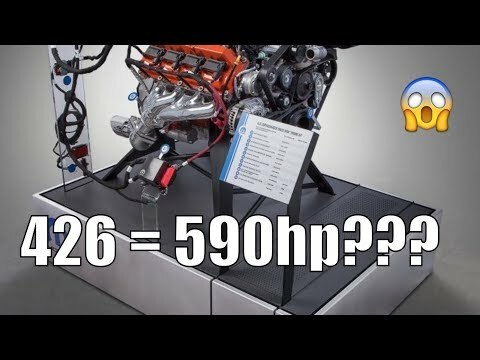 "Eternity", "Killers", "Maccary Bay", "Shaving Mirror"
Mopar 426 Hemi Rumored To Have 590hp!! 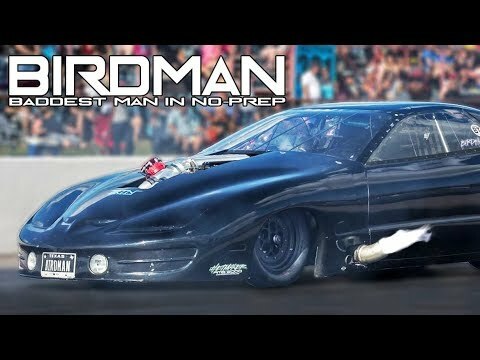 Birdman CAN’T be Stopped - New 4000HP Hemi Setup! THE MYSTERY IS THAT 2 EDELBROCK CARBURETORS ARE HAVING THE SAME PROBLEM. WHAT I BELIEVE IS THE PROBLEM IS THE FLOAT THAT REGULATES THE NEEDLE WHICH ALLOWS THE FUEL TO FILL THE CARBURETOR IS THE ISSUE. UNLESS THE FLOATS ARE MADE OF BRASS LIKE THE OLD STYLE CARBURETORS. THE NEWER FUELS HAVE ETHANOL IN THEM WHICH EATS UP THE PLASTIC PARTS IN THE CARBURETOR. SINCE THE CARBURETORS ARE THE SAME, THE MATERIAL USED FOR THE FLOAT IS THE SAME AND DETERIORATED AWAY FROM THE ETHANOL WHERE THE DEBRIS IS AFFECTING THE NEEDLE FROM FULLY CLOSING WHICH IS THE REASON WHY THE CARBURETOR IS OVERFLOWING. THE CAMARO WAS MOST LIKELY SITTING FOR A LONG PERIOD OF TIME WITH FUEL CONTAINING ETHANOL AND MOST LIKELY NICK'S CARBURETOR WHICH SAT ON THE SELF WAS LAST USED WITH STANDARD ETHANOL BASED GAS. HOPE THIS INFORMATION IS SOME HELP TO YOU NICK. Another great video, makes me feel old that people don't know what points are anymore, my dad taught me how to look after those on my first car. Hope to hear what you do to fix that Camaro too. Weird thing is that I'd rather have the Rambler than that Z28, so tired of muscle cars. Need Nick in my immediate family, wanna a new nephew? 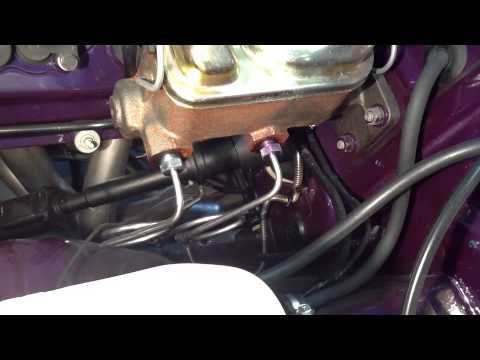 could there be small crap in the gas tank thats getting past that fuel filter and messing up the needle valves or a messed up fuel filter altogether thats letting big crap thru? well Nick, I'm not an expert, just a former tinkerer from 30 years ago. I heard you say you changed the jets. Sounds like a puzzle. The thing I'm wondering about is the engines CFM and what sort of vacuum it creates inside the carb. Is it possible for the engine to create enough vacuum to throw off the float? I remember reading articles back in the 70's that talked about airflow problems due to a lack of back pressure in the exhaust pipes. Its been a long time since I was inside a carb but, doesnt the needle valve under the float have a spring to apply at pressure? Probably a dumb question, but would a stronger pressure spring help? I love the show. I hope I didnt simply tick you off. Best of luck on that camaro. I cant wait to hear the solution ! Nick, glad there are folks like you that can keep the old iron rolling and I thank you for that. As to the red Z28, did you ever figure out the problem with it? My guess was carb heat soak which heated and boiled the fuel raising float bowl pressure. Would be interested in learning what you found. Another great show. Thanks Nick. Cool vid nick tell ya ive changed my fair share of ingition points over the years thats the day when tuneup were just that. (high Maintenance in those years). Please get back to us on this one Nick. I am dying to know what happened to cause this. You tried every possible thing, 2 different pumps, 2 different carburetors. I would be pulling my hair out on this one. You did the right thing, walk away , do another project – while you clear your head. Sometimes you have to just walk away and think about it for a while. Please let us know what you found. Thank You. I love watching your videos. If anyone can figure it out … its you. I remember my mom's Rambler….. bare bones, no A/C. I was hatched in '64!!!! Remembering my father using a hair clip for points as we were in the middle of no where. They lasted long enough to get us to a station. In those days point plugs and wires were a staple for the small mechanic gas station. Incredible original condition for a Canada car. I bet the owner is very proud. Those engines were 127 up not 90. The flat six was 90. The ohv six was 127 hp. A mechanic that doesn't know what points are needs to go back to car school.